This recipe was shared by one of our Cook'n fans - and it is amazing! 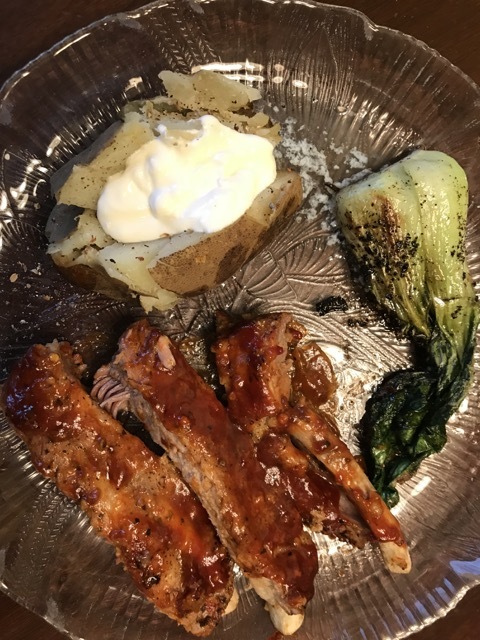 Saucey ribs are fall-off-the-bone delicious. Cooking your potatoes make the easy and they come out soft and fluffy. Mix all of the ingredients together for the Dry Rub. Sprinkle on the ribs and rub it in. Stand the ribs around the inside edge of the Instant Pot, or lay them in the crock pot. Insert the Instant Pot rack. Place the potatoes in the center of the ribs on top of the rack. If you have a top rack, set the potatoes on top. Set Instant Pot to cook for meat and pressure cook for 35 minutes. A Cookie So GOOD, We Should Make It More! The Chalk Man is Back!